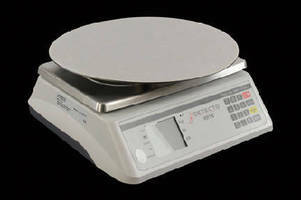 CAS PB Series Portable Bench Scale is RS232 compatible. 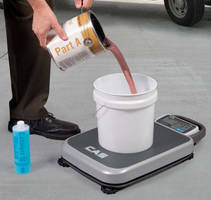 CAS PB Series Portable Bench Scales are offered in 150-, 300-, and 500 lbs capacities with 1/3000 external resolution. 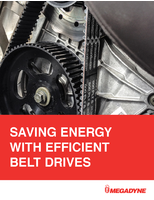 Unit is powered by Alkaline or rechargeable batteries that provides up to 300 hrs continuous operation. 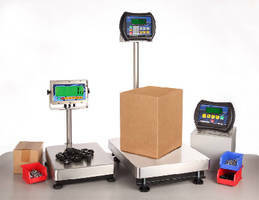 Scales come with detachable 6-digit LCD display, optional wall-mount bracket and receipt printer. Unit weighs up to 14.5 lb and come with carrying handle. 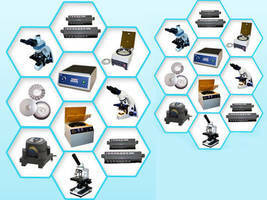 Admiral Bench Scales are suitable for food processing applications. Admiral Bench Scales come with heavy-duty stainless steel base, display tilt option and ColorZONE display. 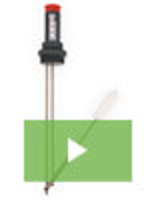 Units are equipped with IP69K-rated load cell and indicator. Products feature four captive screws in the back panel and come in polycarbonate and ABS enclosures. Scale’s LCD display can be set to seven different ColorZONE colors. 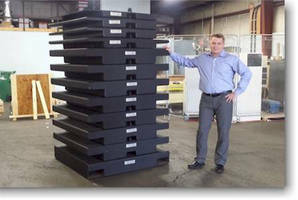 Bench Scales offer capacities from 60-600 lb. Rotating Ingredient Scale ensures precise measurement. Hygienic Food Scales offer multiple modes, connectivity options. Portable Bench Scales combine flexibility and functionality. 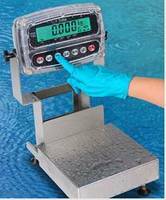 Portable Bench Scale is suited for field service use. 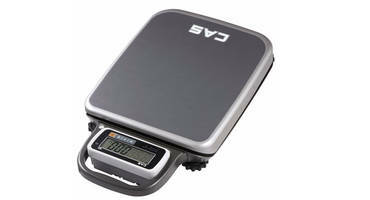 Balance Scale features auto calibration.